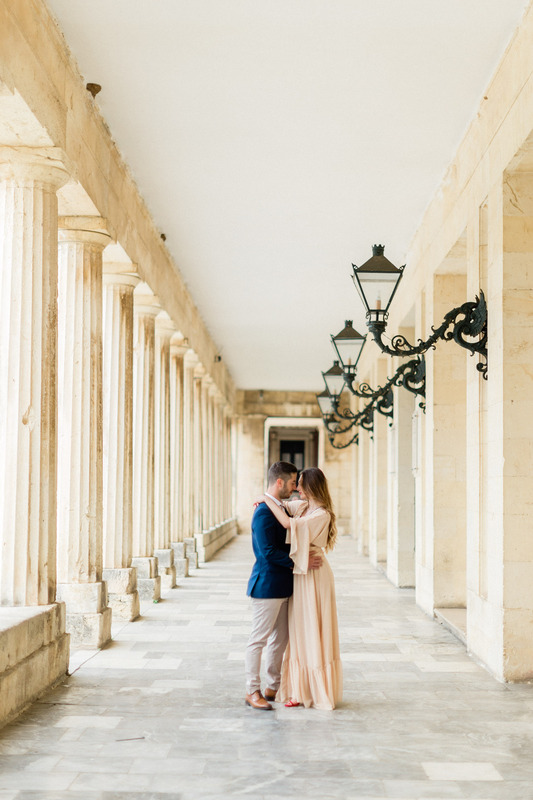 When I met this beautiful couple, I was excited to be a part of such an important day! 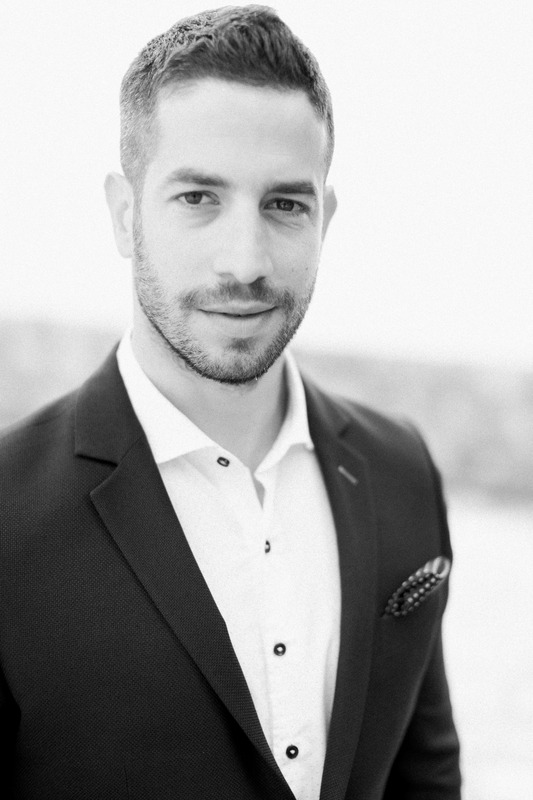 Sophia and Konstantinos got engaged in the Ionian Islands. 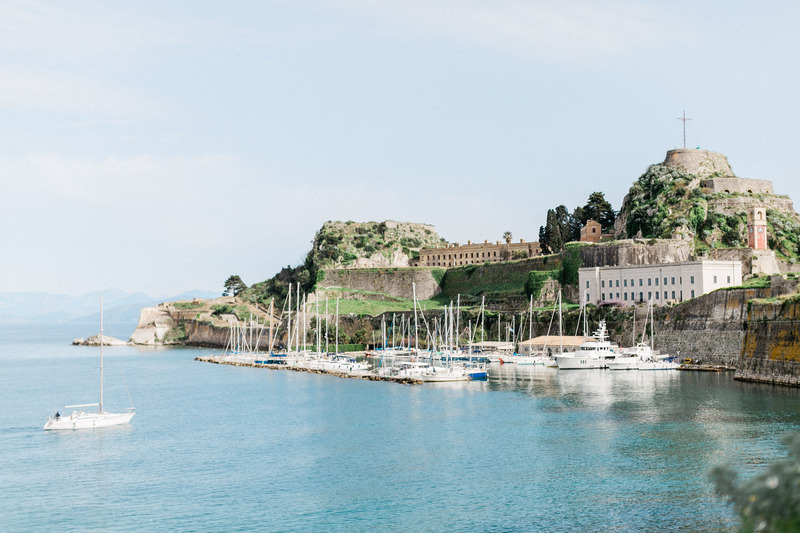 My home, Corfu. It is an honor for me to work in Corfu. It is the place I love the most and I whereas I am very often there, I feel that trough photography I have the opportunity to get to explore and learn more about it everyday. 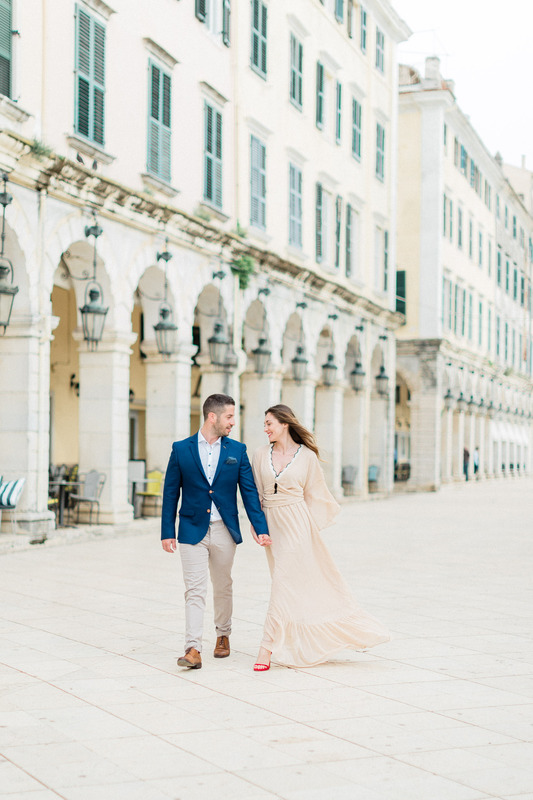 It was an early morning engagement in Corfu’s old town. The weather was spectacular so the natural light could really bring out the beauty of this gorgeous girl. She dressed in a simple yet elegant gown from Suit 51. Her red Steve Madden high heels gave a dash of colour in the picture. 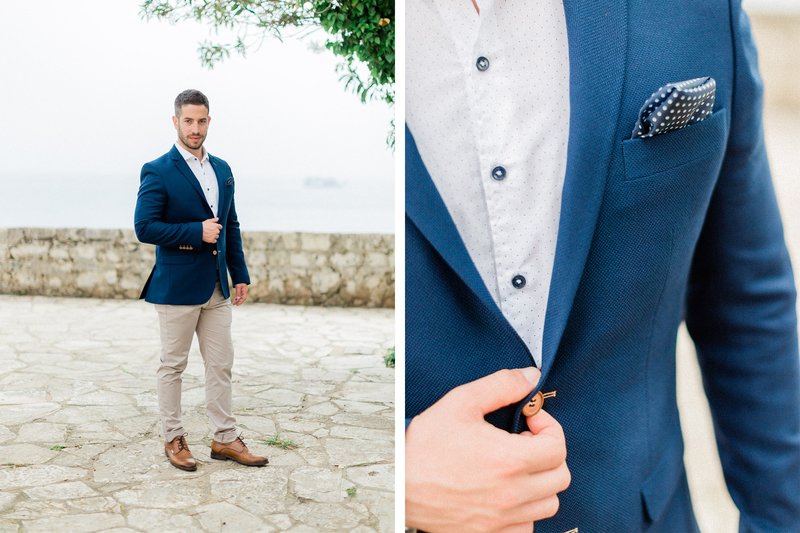 The groom to be, was wearing a Paul and Peter sharp suit, matching the colors of the dress as well as the background. We wandered around in the old city. 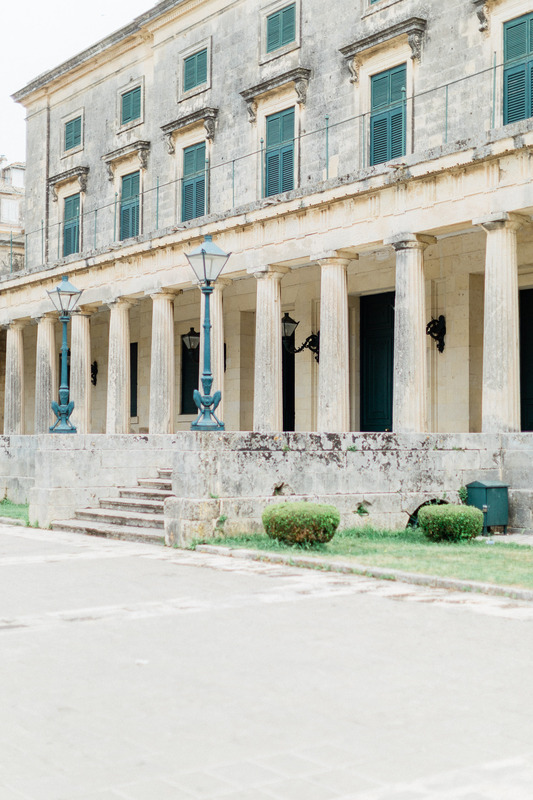 The Palace, the Old Fortress of Corfu, Liston square. This place has a neverending beauty, a magical aura. The architecture, remains from the Venetians, reminisce of an older time. Beige and white dominate the captions, but the nature’s true colours are outstanding in the pictures. 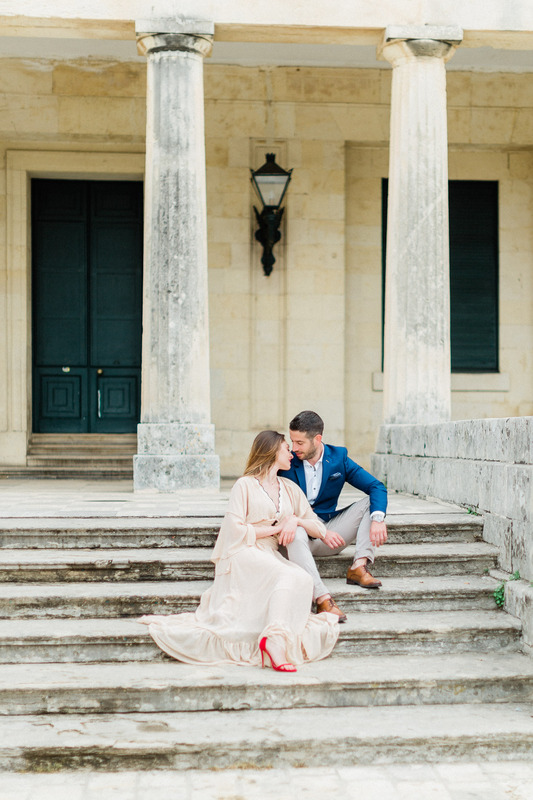 It felt amazing to spend the day with two beautiful souls, Sophia and Konstantinos. Their big heartwarming smiles and their eyes sparkling from love, made me realise how lucky I am to be able to share this feeling and help them capture such beautiful memories.